The book is available in electronic format through Amazon, but for those who want to get physical copies, please click here. You can of course try other major bookstores of your finding. 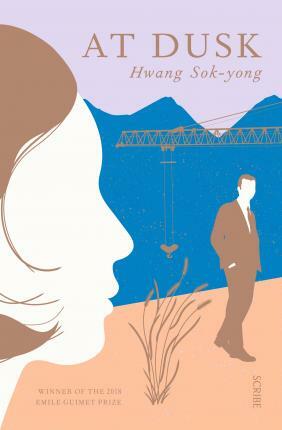 This book has been nominated for the Man Booker Award International this year, the same award that was given to Han Kang and Deborah Smith for "The Vegetarian" in 2016. A shortlist of 6 will be revealed on April 9, with the final winner to be announced on May 21. Oh, the suspense...! We want to try out a different location this month for our meeting, on the South of the Han River, at the Literature Translation Institute of Korea (LTI Korea). The LTI Korea is located in Samseong-dong, within walking distance from both Samseong Station (Line 2) and Bongeunsa Station (Line 9). Apparently it is also close to Cheongdam Station (Line 7). But Bongeunsa Station is the closest for a walk, of around 5 mintues. If coming from Bongeunsa Station, use Exit 4. We are always ever grateful to Mr. Kim Sanghun for his offer of letting us into his library at North Terrace Building. We hope to be back there for our session in May.